I’m happy to inform you that today has started out much better! I went to my regular coffee shop/bookstore this morn, and guess what was waiting for me…the new issue of Monocle Magazine! 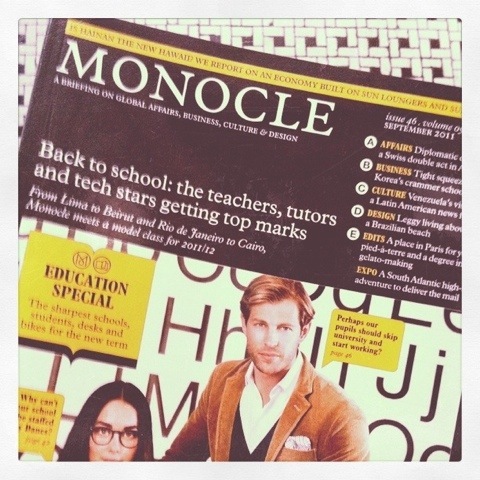 If you are a geek, but a cool geek, Monocle is for you! …and all this time I thought I was a “cool geek.” I’ve never even heard of Monacle. No identity crisis, however. I will just go by “hot nerd” now lol.